A new urban fantasy series by the award-winning screenwriter and creator of ground-breaking BBC TV series Spirit Warriors. When she, along with three other troubled girls: Goth Eve with a dark secret she is desperate to keep hidden, wealthy Cassie who can buy anything except for a new face, and newly orphaned Tyler, try to stop a brutal attack, a secret new world opens up, one where supernatural beings rule the night. 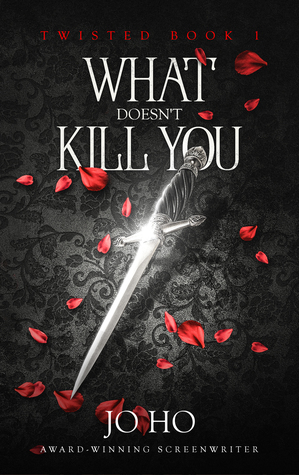 Fans of The Mortal Instruments, The Vampire Diaries, and Pretty Little Liars will love this new series. 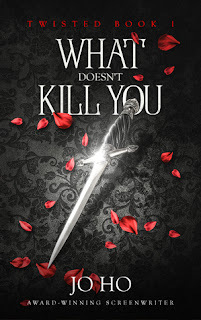 What Doesn’t Kill You is episode one of the Twisted series. A new episode will be released every eighteen days! Free on Kindle Unlimited. They say you should never judge a book by it's cover, but it was the cover that drew me in. It's so striking! Now, on with the review! This is one fast paced book! It was written with the idea of it being a tv series and that's just how it reads. I could easily imagine it being a 30 minute episode that I curled up on the couch to watch each week or even better, binge on Netflix. Each of the characters is a complex and unique individual and yet somehow come together to make the story work. It's really tough to find something wrong with this book. I'm not sure how much I enjoy the serial style, but that's not the fault of this book. There were moments that felt slightly done before but then there would be a twist and I'd go nope, never mind. If you're a lover of serials, the paranormal, and teen girls trying to possibly save the world, this would be a great series for you to check out, especially if you have Kindle Unlimited.